Throughout much of American history, there has been a rivalry between science and religion. From the Scopes Monkey trial to the second Bush administration’s efforts to block stem cell research, the two have often been at odds. 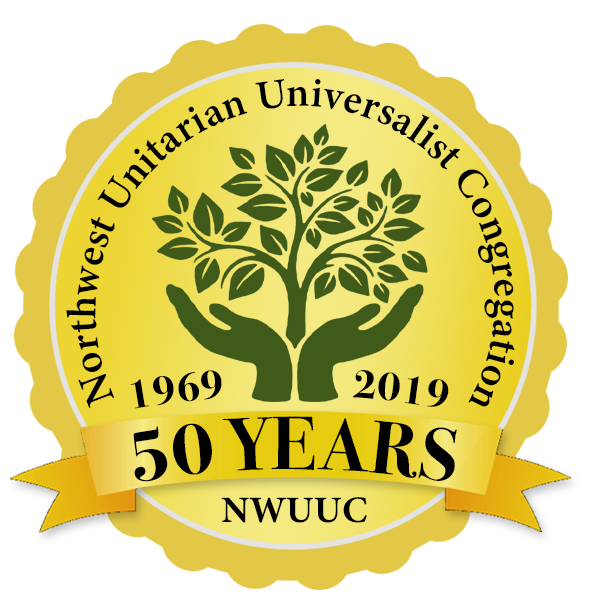 According to the fifth source of Unitarian Universalism, however, we affirm and promote “Humanist teachings which counsel us to heed the guidance of reason and the results of science.” I would argue that not only are we better off for taking our religion with a healthy dose of science, but that the willingness to do so has historically been one of our proudest traits. Tuesday marked 210 years since the birth of Charles Darwin, and this November it will be 160 years since the publication of his most famous work, On the Origin of Species. Since the time human beings became conscious of their existence, of the reality that they will die, and of the awareness that birth creates new life, they have wondered where they came from, why they were there and what happened to them when they died. They regarded these happenings with awe and with fear, and in that awe and fear they worshipped the powers of the natural world. They came to believe that supernatural beings controlled the sky, the earth, and their lives. In the circles around the hearth fires of their caves they began to create stories of how life began, how the earth and sky began and why death takes loved ones away. Stories of creation are part of every culture in every time. They helped people of long ago understand what happened to them in their daily lives. They worked out relationships with the powers of nature that held an awesome control over their lives. Over centuries human beings explored their world and built on the experiences they gained. They accumulated what they learned into fields of knowledge that challenged the fear of things they did not fully understand. Over those ensuing centuries of time, matters of faith mixed with accumulated human experience, often with resulting conflict and dissention. As religions formed and solidified their specific myths and people engaged in systematic and scientific inquiry about their world, this conflict escalated. In time, a declared war between science and religion created rigid walls of animosity. Reason and faith became realms unto themselves. An uneasy truce emerged that was shattered in 1859 when Charles Darwin published his research and findings in his book, The Origin of the Species. In 1900 the Rev. Dr. Marion D. Shutter, minister of the Universalist Church of the Redeemer in Minneapolis, Minn. presented 12 lectures titled Applied Evolution in which he placed Darwin’s theories within the context of Universalist theology. Each of these lectures were considered seminal in providing Universalists of the time with an understanding of these new theories and how they would strengthen their faith and beliefs. Shutter defined three gains that religion has made from science. First: Science quickened the sense of truth in religious thought, awakening it to the real nature and value of truth, and the right methods for its discovery. Science has taught theology to look at facts as they are, and not as it wishes or hopes or imagines or guesses them to be. Second: Science has taught Theology something about right methods of reasoning. There are not two distinct methods of reaching objective truth. We cannot receive by direct revelation that which depends upon study and research. We cannot accept by faith that which contradicts our common sense. Historical and scientific assertions made in the name of religion and relations to religious subjects must be submitted to the same methods of reasoning and the same processes of investigation to which we devote all other statements upon all other subjects. Shutter provides us with, in his mind a proof, for the scientific rationale in this theory of evolution through a detailed description of how the human body has developed through the centuries, and how all other animal life forms have followed the same developmental process. He writes, “Man, together with all higher vertebrates, is built upon the same general plan. The same style of anatomical architecture prevails in all cases. Bone for bone corresponds throughout. Fin of fish, paddle of whale, wing of bird, foreleg of quadruped, arm of man, and all the other bones, these hinged upon a vertebral column, surmounted by a skull. The plan is everywhere the same. On the theory of special creation, if man was made at once and without reference to the animals, we should have looked for a distinguishing, individual frame. On the theory that man is derived, by successive modifications, from the animal, the resemblances that are so obvious are easily explained, and this is the only theory that rationally accounts for them.” It is part of a natural order of life. “And when nature took this ground-plan [seen in the theory of evolution] and began to build a man upon it, she did not go out after new and different material; she simply transferred the organs of the lower animals and… modified the organs to the needs of new circumstances, according to the needs of the evolving being. And these organs that nature modified and carried over for the use of man, are made of the same kind of clay [as all other life forms]—not a whit finer. “There are some organs in man’s body which have been derived by modification from organs in lower forms of life which there served a different purpose. The ocean life and its necessities had left indelible marks…the chief characteristic of a fish (for example) consists of gills which communicate outwardly through slits in the neck. When the fish came ashore, of course it took Nature a long time to perfect an air-breathing apparatus adapted to the new conditions. But Nature is very economical—miserly, indeed. Nature said: “What am I going to do with that old water-breathing machine? I expended a good deal of time and labor on that. It is altogether too good to throw away.” So soon as land-life really began, hearing became a necessity. Nature concluded to hold on to the gills and gill slits, she set to work upon the highest up of the five gill-slits and slowly elaborated it into a hearing organ. The ear of man is the gill-slit of the fish re-worked. In the human embryo, at a certain stage, all the rest of these openings are found. “The flesh of animals and the flesh of men are heir to the same physical ills, and thus prove their kinship. To make a particular example, Darwin shows that the nerves of taste are the same in monkeys and men. Darwin is quoted asserting the story that natives of Northeastern Africa used to catch wild baboons by exposing vessels with strong beer, by which the [baboons] were made drunk. On the following morning, they were very cross and dismal, just like their human brethren: but unlike their human relatives… when beer or wine was afterwards offered them, they turned away with disgust.